Phiaton has fast become one of the leading faces in the music industry, with an array of delectable items to their kitty – ranging from personal audio gear to professional equipment. Each of its products boasts of premium engineering and an ardent desire to please it customers, resulting in some of best noise cancelling headphones in the market. There are very few earphones out there that club all the delectable features of wireless, Bluetooth and noise cancellation, and Phiaton has done just that. The Phiaton BT 220 NC comes with active noise removal, Bluetooth 4.0, has a smooth look and is wireless, making it one of the best in-ear noise cancelling midrange earphones presently available. Works in passive mode with a wired connection. The Phiaton BT 220 NC in-ear headphones come with a simplistic design that aims at pleasing aesthetics and clever construction. The Bluetooth and microphone circuitry are housed in a rectangular, metal strip with a small power button and a micro USB port. The double injection eartips, with optimized canal and front dampers, offer a decent passive noise removal. The earphones are not completely wireless. There are thick connecting wiresattaching the earphones with the main unit. 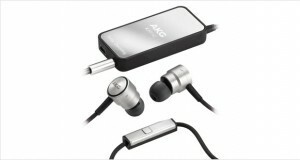 The steel and black earphones come with silicon earbuds that have a red core, adding a nice zing to the look. A monitor button allows toggling and volume control. Dimensions0.5 x 2.5 x 0.9 inches "
The metal clip meant for attachment to the garment is sturdy, a much needed feature. The wires are robust and thick. The length of the cables is short, though and requires the wear of a high necked t-shirt or the use of the lanyard provided. Clip is difficult to use and clips to the garment only via a flimsy plastic strip that makes it prone to breakage. The ergonomic earbuds give a comfortable fit. They come in a variety of sizes and hence allows a certain degree of flexibility in use.The device itself is light weight and easy to carry. However, the wires being short, the main unit is difficult to place and control while on the move. The highs are crystal clear with good sharpness. The bass is steady and vibrant. Phiaton does a decent job of blocking out most of the ambient sounds. 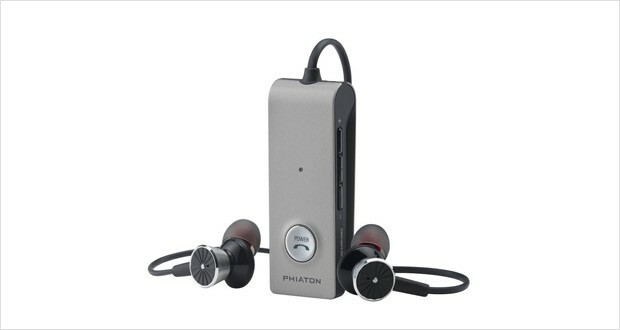 No headphone is supposed to give 100 per cent isolation, and the Phiaton BT 220 NC does a good job of blocking mid and low frequencies. Soundstage is dynamic and clarity is impeccable. However, there is considerable bleed out if the volume is set to high. The active noise cancellation does a remarkable job blocking away most of the ambient noises while still allowing the user to listen out for incoming calls. Active noise-cancellation that blocks up to 95% of ambient noise. Bluetooth 4.0 allows for a wider music range with greater clarity and battery life. AptX feature included in the earphone enhances digital streaming efficiency and overall dynamic range, giving almost a CD-quality audio. No need to carry flight adapters as the device features almost sixteen hours of call time, seventeen hours of music and over three hundred hours of standby. Crystal clear clarity on calls. Near field communication technology allows instant connection to any Bluetooth enabled devices nearby. 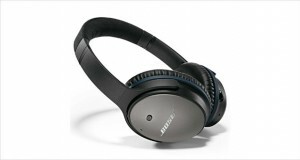 Multipoint connectivity allows for connecting to two Bluetooth enabled device to the headphone at a time. Very affordably priced for all its features. Sophisticated styling and sturdy build. Mute button allows for intermittent conversations. There is significant wind noise with the noise cancellation turned on. The ‘skip feature’ does not allow for quick toggling in the music menu. It is time consuming to use. Control switch is small and maybe difficult to handle while wearing gloves. 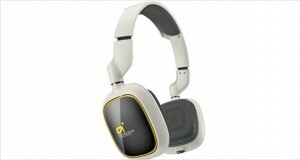 Noise cancellation covers mid to low frequencies only and there is bleed in of high frequency sounds. Not compatible with devices that have older versions of Bluetooth (3.0 and below). The Phiaton BT 220 NC Wireless, Bluetooth in-ear headphones looks edgy, has a strong build and comes packed with high end technology. The Bluetooth 4.0 works like a charm, with almost instantaneous connectivity via the NFC technology. The sonic experience is marvellously vibrant and rich. There are few issues with the attachment clip, though. However, for the price that it offers, the earphones are a steal for anyone looking for professional noise cancellation for everything ranging from regular commuting to flight drones.